Talk me out of a moto? 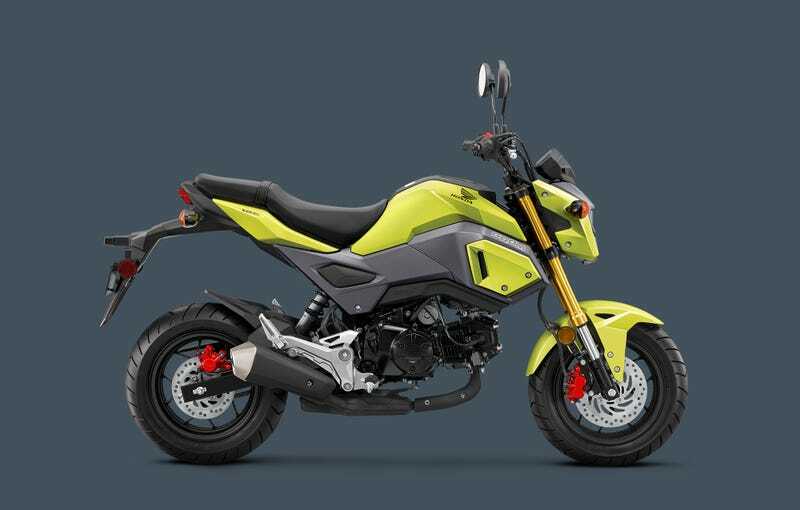 Honda Grom. Photo stolen from here. The extent of my moto knowledge is that I once owned a ‘81 Yamaha IT175 in glorious Sky blue and Safety Yellow. The power curve looked like a plateau- nothing until a few thousand rpms, and then everything unleashed instantly like a bag of angry rabid dumpster cats. I’ve ridden a Honda Cub90, which was wicked fun for a 1968 scooter, even if it had an automatic clutch. The Land Cruiser is great, but there are times when 5,000lbs of 90's SUV isn’t needed, and the amount of fuel spent shunting that mass about is quite extensive. Considering that this would be primarily for commuting and getting around town with minimal/no highway use, I’m not really interested in going fast. First and foremost, it needs to make financial sense. I’m estimating $275 for an MSF course, $800ish in helmet/jacket/gloves and riding gear, and $40-50ish/mo in insurance. New Groms are right around my ideal budget for a new machine (kinda tight), maintenance should be pretty minimal. Used ones seem to retain a reasonable amount of value (per going CL posts) so unless it’s totaled, it should be possible to sell for minimal loss. What am I missing or overlooking? What do you need to know? Tell me something.